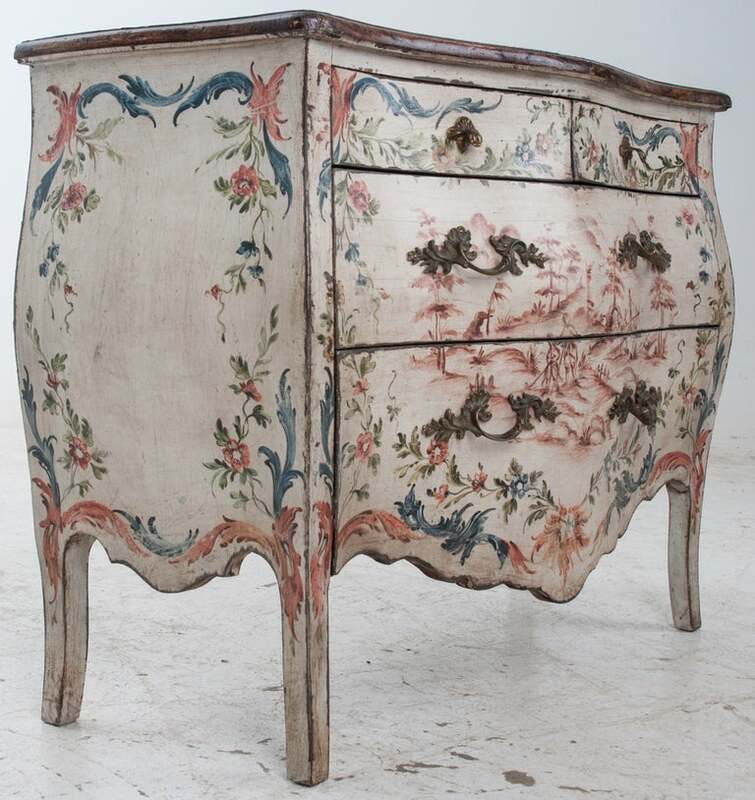 From the late 1800's,is a beautiful Italian painted Bombe 4-Drawer Chest of drawers with faux Marble Top. 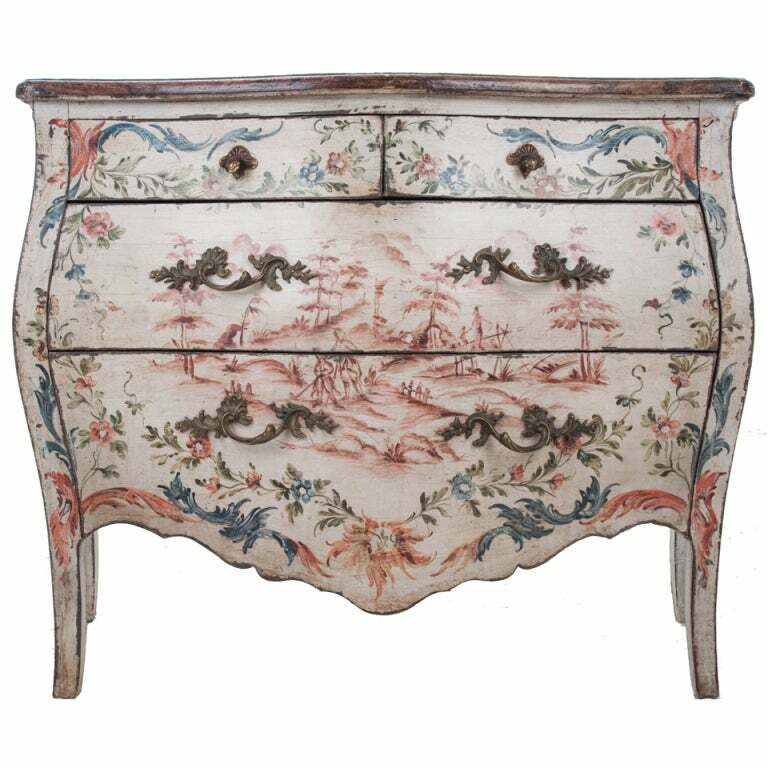 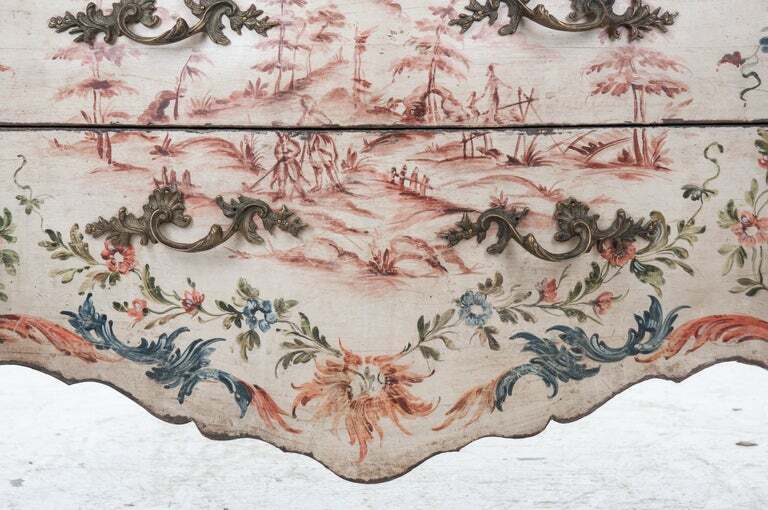 The chest is well constructed with bowing sides and front and hand painted in a floral design. 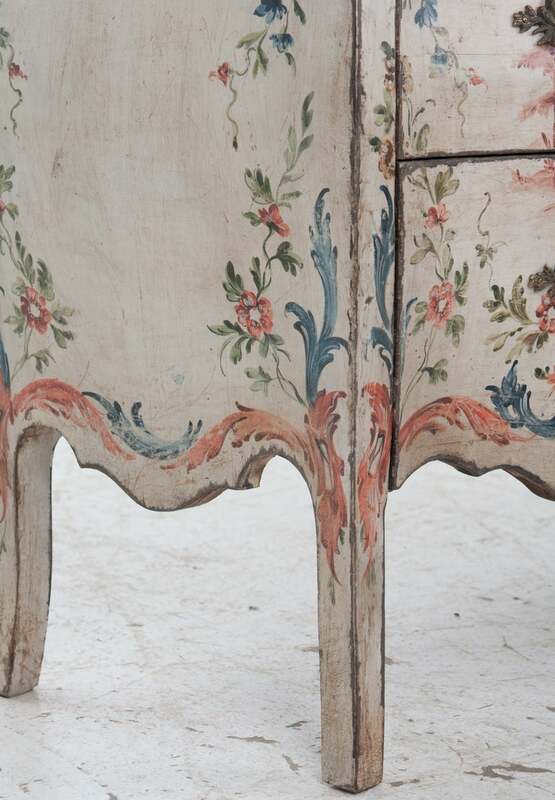 The background color is cream with painted colors of coral, blues and green. 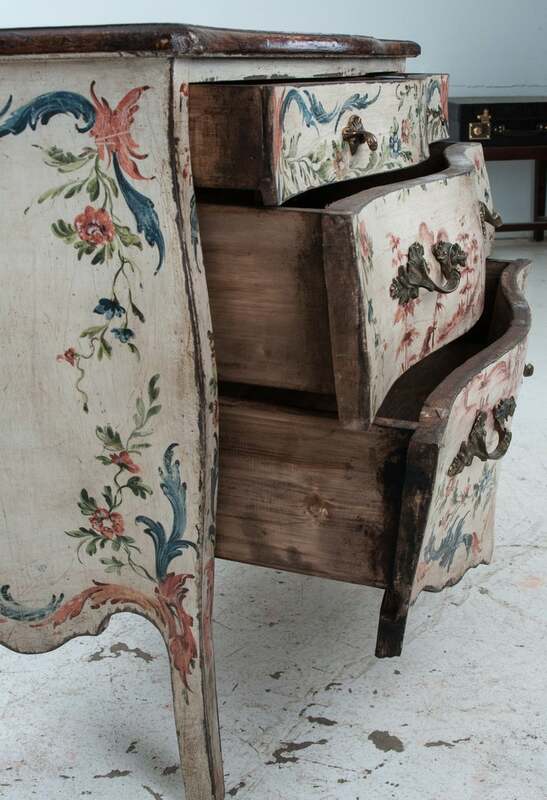 All original, unique hardware. 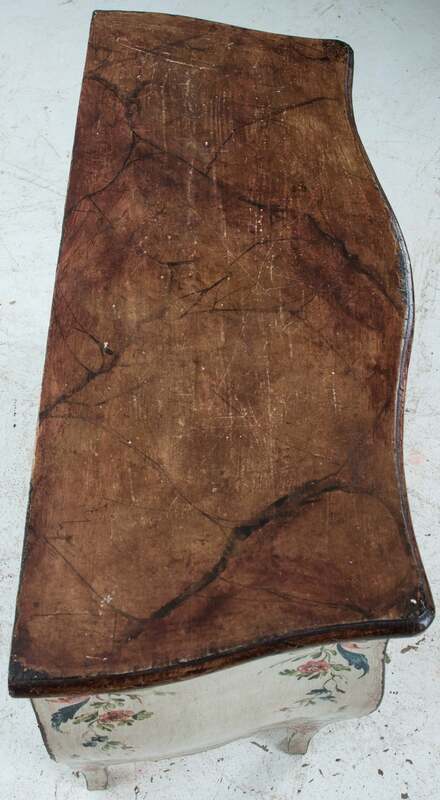 The shaped V apron is stunning, the whole over simple splayed legs. 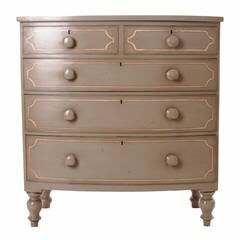 English pine chest of 5 drawers with a splendid paint finish of taupe with white and red banding, paint is more recent than the 1840s chest. 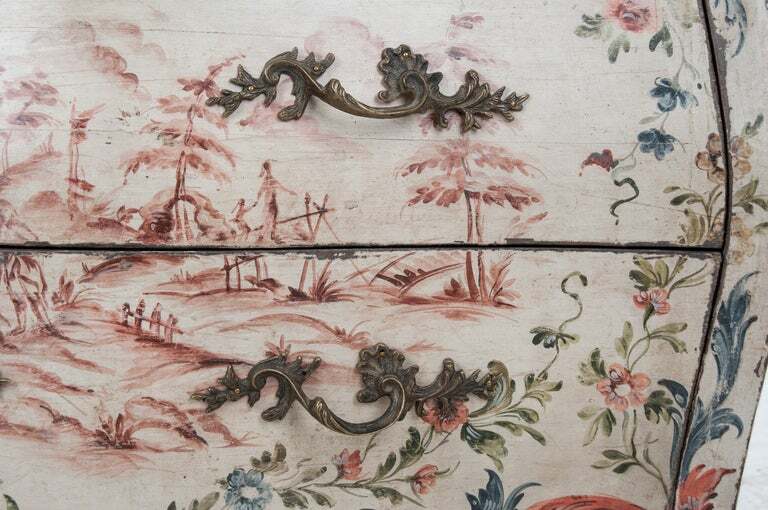 19th century Italian chest of drawers with a hand painted finish depicting musical instruments and foliage. 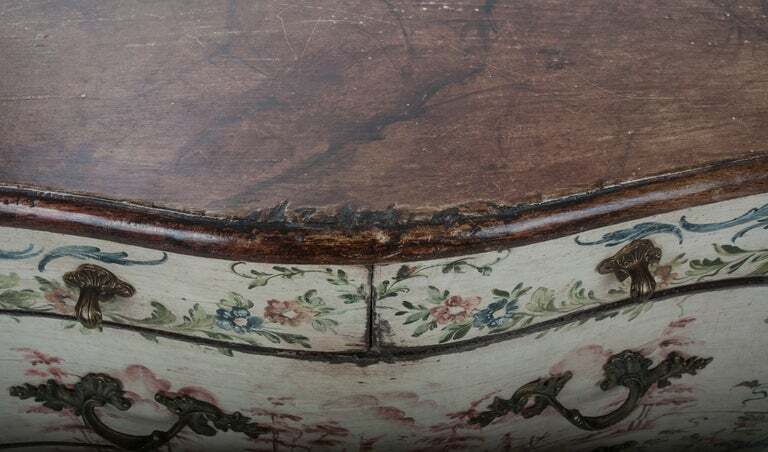 Early 19th century Dutch bombe commode or chest. 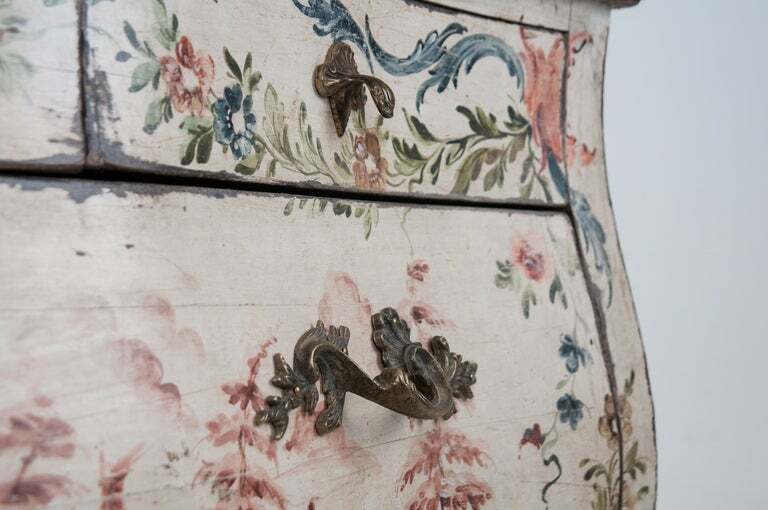 Floral marquetry inlay throughout, oak lined drawers.